Before I started, let’s get to know what RSS is. RSS is a family of Web feed formats used to publish frequently updated content such as blog entries, news headlines, and podcasts in a standardized format. An RSS document (which is called a “feed,” “web feed,” or “channel”) contains either a summary of content from an associated web site or the full text. RSS makes it possible for people to keep up with web sites in an automated manner that can be piped into special programs or filtered displays. The benefit of RSS is the aggregation of content from multiple web sources in one place. RSS content can be read using software called an “RSS reader,” “feed reader,” or an “aggregator,” which can be web-based or desktop-based. 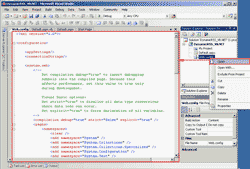 A standardized XML file format allows the information to be published once and viewed by many different programs. Q: What benefits of doing this? 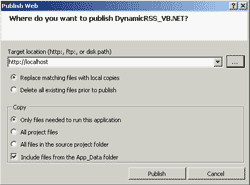 A: If you using RSS Feed, you can display it on various RSS Reader software. 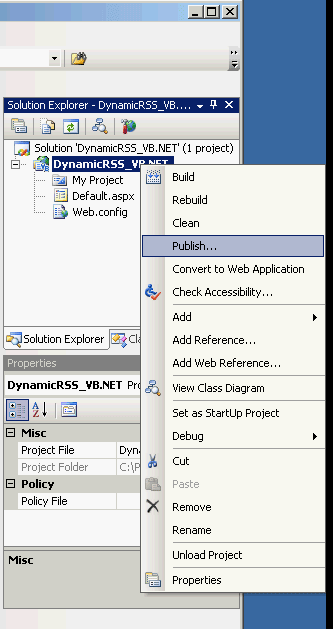 In my example, I create a dynamically RSS Feed and then I have installed RSS Reader on SharePoint so now I can get content on MS SQL Server to show up on SharePoint without coding anything on SharePoint. You can also apply RSS Feed to other RSS Reader software. 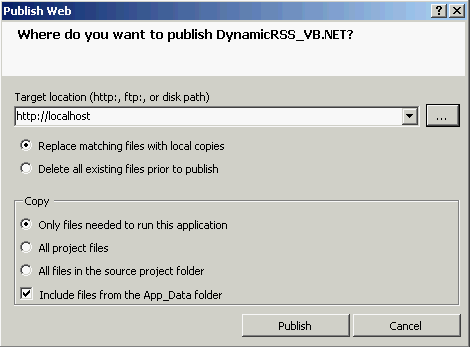 In this article, I’ll show how to create a RSS Feed to gather content from Microsoft SQL Server so that the RSS Feed will be dynamically. 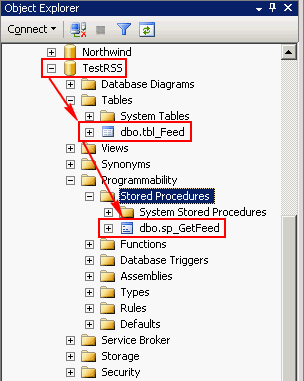 The RSS’s content will be changed every time when the data on MS SQL Server have changed. 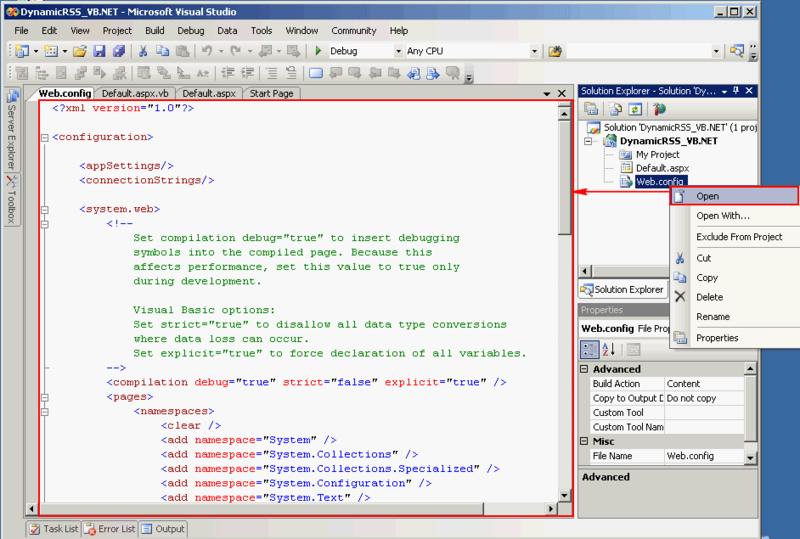 I will use Microsoft Visual Studio 2005, ASP.NET and code in VB.NET and C#. On this post, I’ll cover only VB.NET. For C#, I’ll write in the next post. First, I’ll prepare a sample content database as a sample feed and create a store procedure that query the content database. 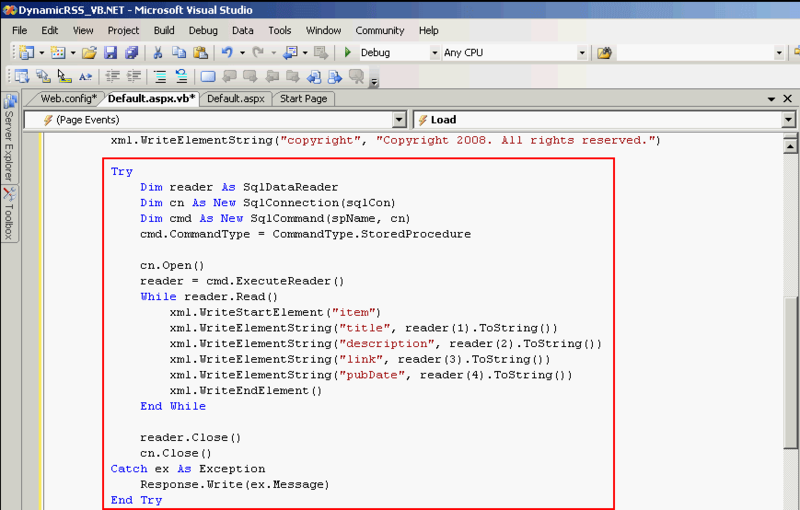 Then, I’ll code on MS Visual Studio 2005 to gather feed from the MS SQL database and display them as RSS format. After that, I will publish the content to web site and test if the content shown as RSS Feed. 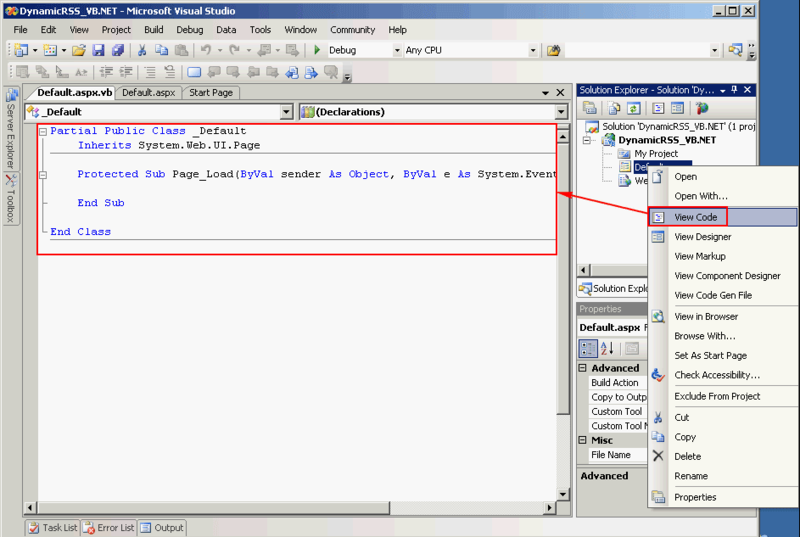 On a database server, create a sample database. In this example, my database server is located at “BKKSQL001\INSTANCE01”. 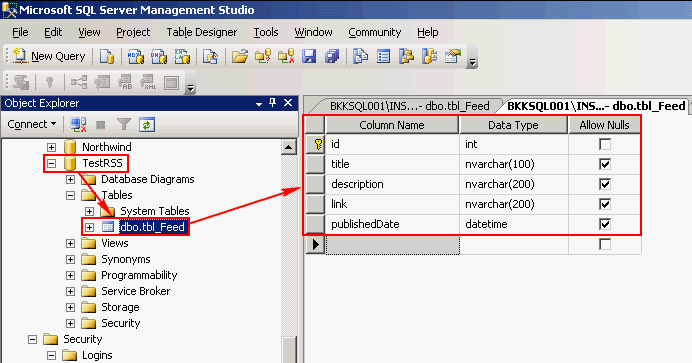 Create a database name as “TestRSS” and table name as “tbl_Feed” with columns as in the figure below. 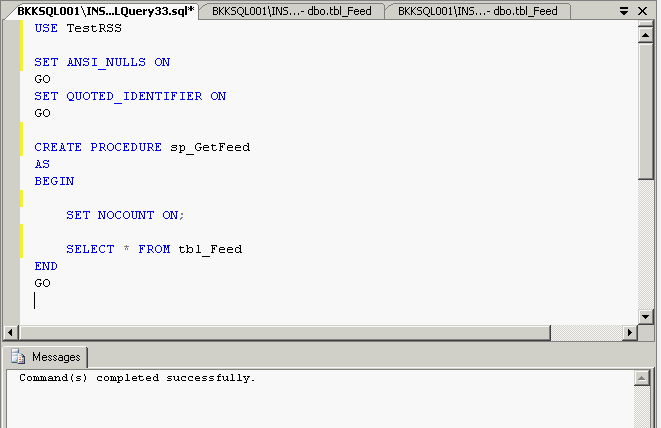 Fill some sample data on table “tbl_Feed”. See the figure below for example. Create a new store procedure to query data from table “tbl_Feed” so that you can alter the query without modifying ASP.NET’s code at later. 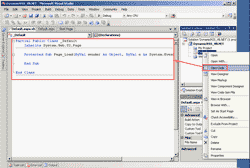 The database, table and store procedure are like in the figure below. Note: I encourage you to implement Windows Authentication for connecting to SQL Server rather than SQL Authentication. But in this tutorial, I’ve just used SQL Authentication to keep the tutorial simple and better to understand. 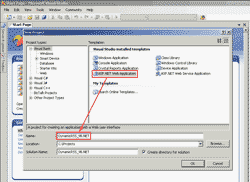 If you want more information about Windows Authentication, see How To: Connect to SQL Server Using Windows Authentication in ASP.NET 2.0. 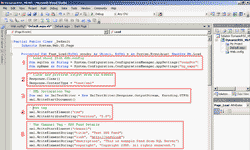 Line 9-11: Load the values from web.config to variables. The name “connStr” and “sp_name” must match in the web.config -> appSettings -> attribute “key”. 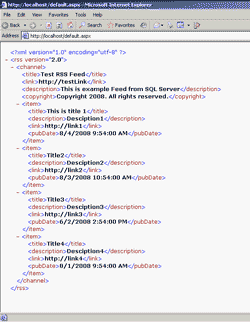 Line 13-15: Clear previous output if any and define the content type as “text/xml”. 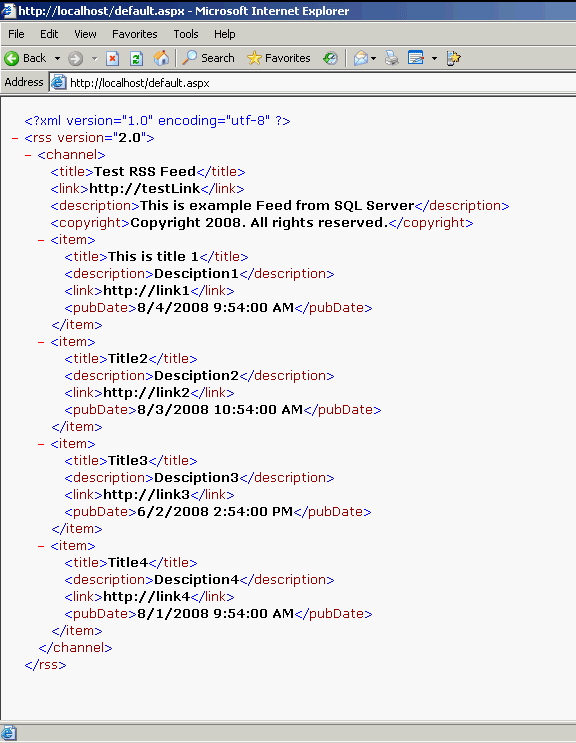 Line 25-30: Write channel tag which contains the details of this feed. Line 33-36: Declare variables for make connection to SQL Server. 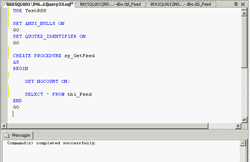 Line 38-39: Open connection to SQL Server and execute query by calling a store procedure “sp_GetFeed” (variable sp_name). Line 40-47: Enter while loop on each return record and write each record to output screen as a item. 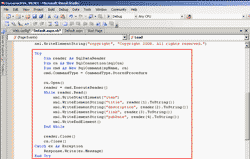 Line 49-50: Close the SQL Server’s conntection. Line 55-56: Close channel and rss tags. Line 57-59: Close the connection. End the stream of data. Line 60: Send all result (in buffer) to display on the screen. 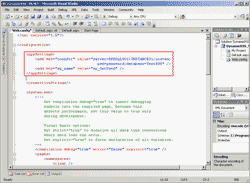 Publish the web application to the website. 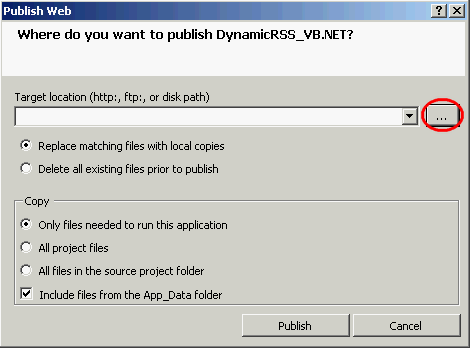 Right click on the DynamicRSS_VB.NET – the Project Name and select Publish. 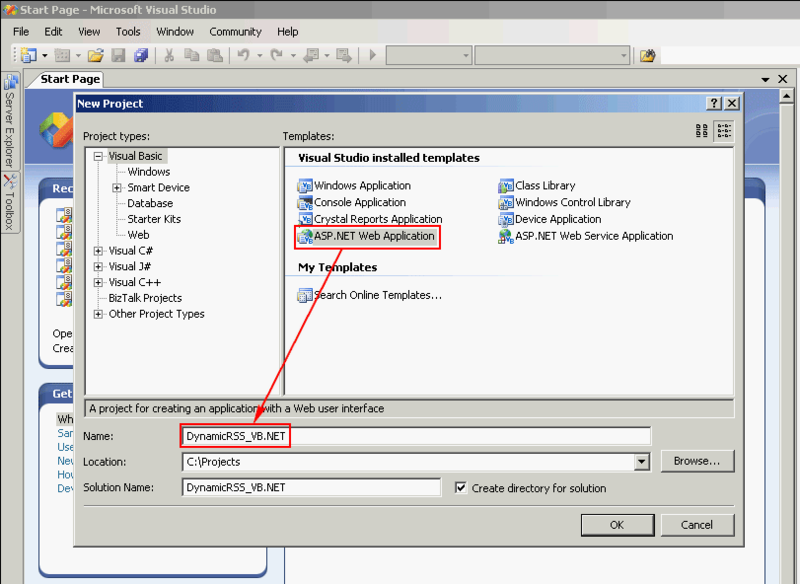 On Publish Web, click on […] to browse to the available web server. If you already know where is your web server, you can type it in the target location. 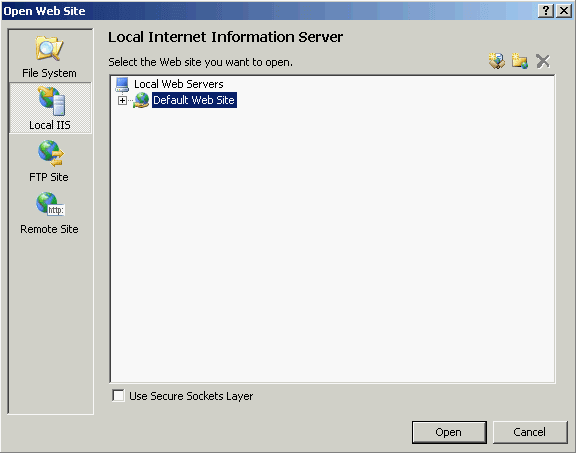 I have IIS Server on this local machine so I select Local Web Servers -> Default Web Site and click Open. See on the output view if the publish is success. 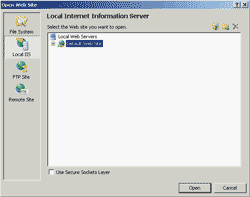 Open Internet explorer and browse to http://localhost/Default.aspx. You’ll see your dynamic RSS Feed!. Hi, you do a best job to create rss feed for sql database and i like tell you that it’s works great, but i have category id field in my table so by this i show product record in a formview in my product page, so is it possible to add hyperlink inplace of link field. When you use feed reader software to read the dynamic feed in the example above, it’ll be hyperlink automatically on element. This does not work properly. I have tried everything but it only display the first three lines and not the rest of the elements. Can you provide some assistance please? Is there any error message or exception? What’s the output (first three lines) that you’ve mentioned? Does it has output from SQL Server? What I get is the Description, Link and Title that’s all the rest doesn’t show. When I check the aspx page view I see all the data at the top. It just does not display correctly. Everything is drawing from the slq data base. Thank you for your quick response before and I will look forward to your insight on this project. It seems that there isn’t anything wrong! The links that you posted, they have “copyright” and “managingEditor” elements already. 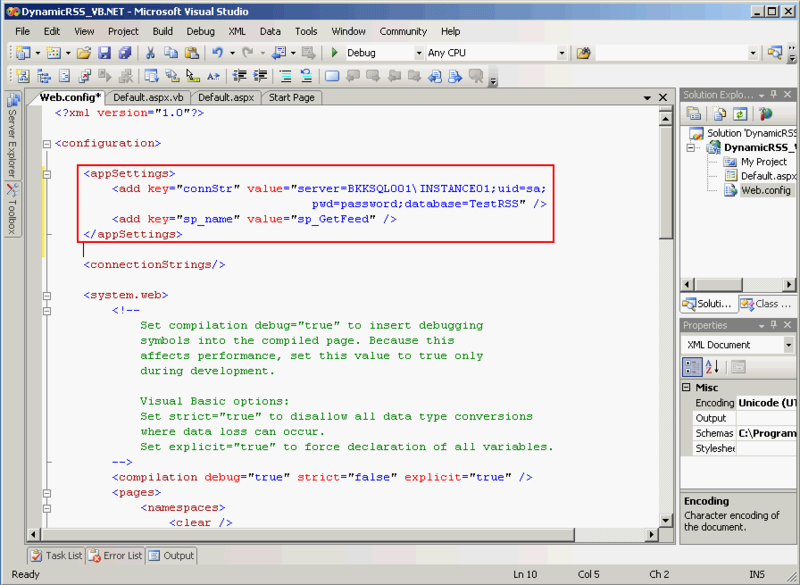 You can check by view source code in the browser on the page. But the data aren’t show in the feed because the feed reads only first three elements which are common elements. If you really want to show the missing data, I think you may have to modify the feed reader – the aspx page in this case. I have created RSS feed using asp.net but i am little bit confused regarding how user can access. please provide me the procedure so i can easily work on it. I found this problem when Open Internet explorer and browse to http://localhost/Default.aspx. 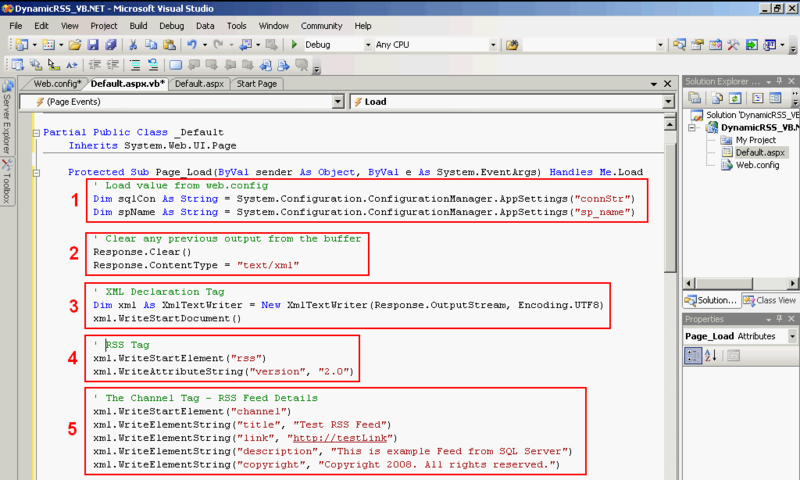 When you finish create a feed, you deploy it to the web server. Then, users can access the feed from the web server. I think the problem is about connecting to the SQL Server. Verify that you can query the data from SQL Server successfully. you mention that “The RSSâ€™s content will be changed every time when the data on MS SQL Server have changed.”, how is that achieved? i am new to this..please enlight me! 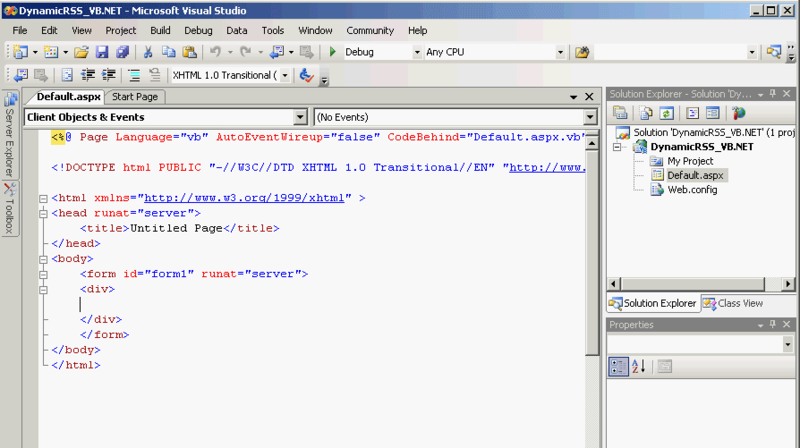 The content is dynamically generated each time you refresh the page from the SQL Server. When you modify the data on SQL Server and then you reload the RSS’s page, the page will gather the latest updated data to show on the page. so it will be something like “i set my page to refresh automatically(perhaps every 5 mins) and the stored procedure will fetch new data from the database, and add into my application? do i actually need a RSS reader to decipher the data? I am not sure my server can run asp.net. 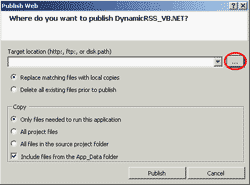 Could you send me how to Create Dynamic RSS Feed from MS SQL Server using ASP please? Very impressive! One of the most helpful & clearly written articles I have ever seen on the internet…thanks!